Now that the debates are history, how much did they matter? 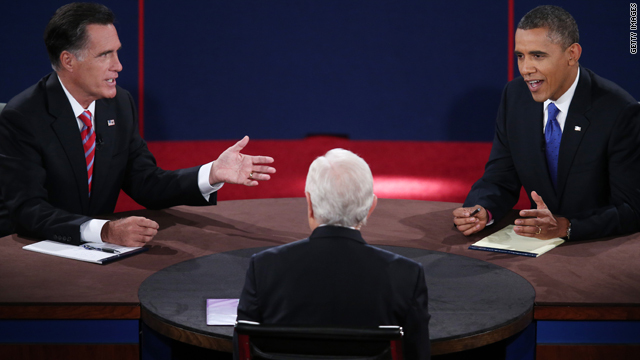 Three presidential debates in the history books. So now what? Mitt Romney did himself some good. Maybe even a lot of good. Headed into that first debate, some had already written Romney's political obituary. They thought the race was President Obama's to lose. And that's just what he did in that first debate. He tried to throw it all away. Regardless of who wins the election, one of the most memorable moments of this campaign will likely be President Obama's failure to show up for that debate. The president's dismal, un-presidential and uninterested performance combined with Mitt Romney's strong showing shook this race to its core. As New Jersey Gov. Chris Christie wisely predicted beforehand, that first debate did in fact turn the race "upside down." Ever since that moment, as the polls turned against President Obama, he's been playing catch up. The president came prepped for the remaining debates. He went on the offense against Romney and held his own. However, these last two face-offs didn't provide a clear winner like the debacle in Denver did. What remains to be seen is whether the president can stop the bleeding and undo the image that he left on the 70 million Americans who watched that first debate. Here’s my question to you: Now that the debates are history, how much did they matter?